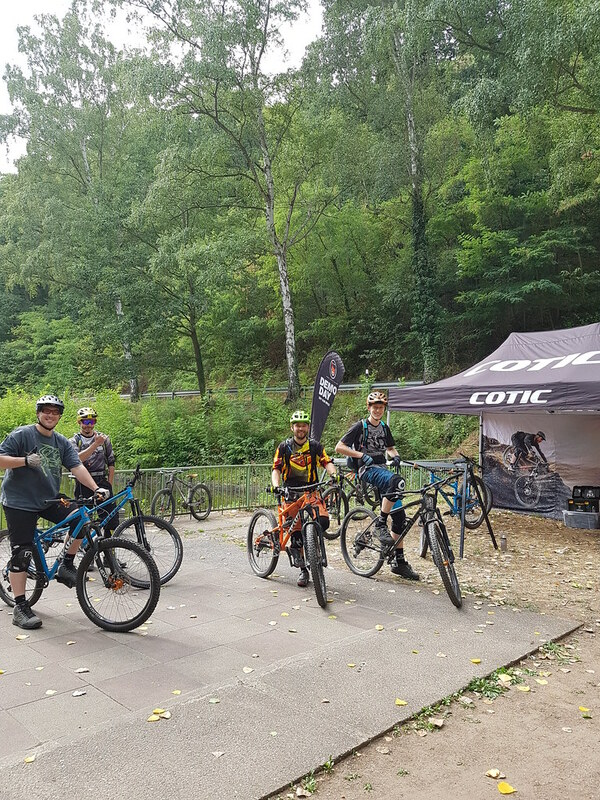 Sam recently headed over to Germany for a weekend of demos and an owner's ride, here's how it went. I'm writing this with a cold Bitburger in hand, after a great weekend of demos in Germany, my first demo trip to mainland Europe. It's been a really successful trip, the love for the bikes has been huge, and the German and Dutch riders who came along have been really welcoming. This wasn't going to stop the fun for everyone else though, on Saturday Carsten had organised an Owner's Ride with a local guide, which was very popular. 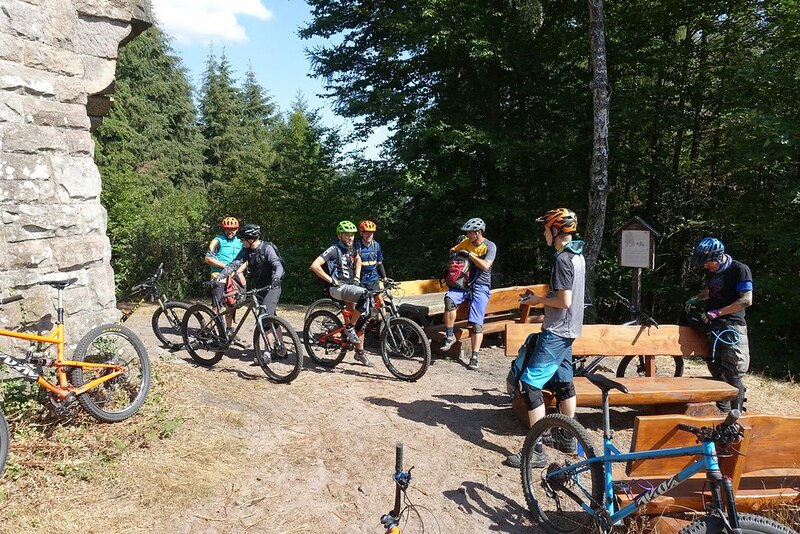 After setting up plenty of demo bikes for a longer test ride (this is an option on our upcoming Forest of Dean Owners Ride too) the large group pedalled off into the sunshine for a big day on the trails. They all returned grinning and tired, having loved the trails and the bikes. 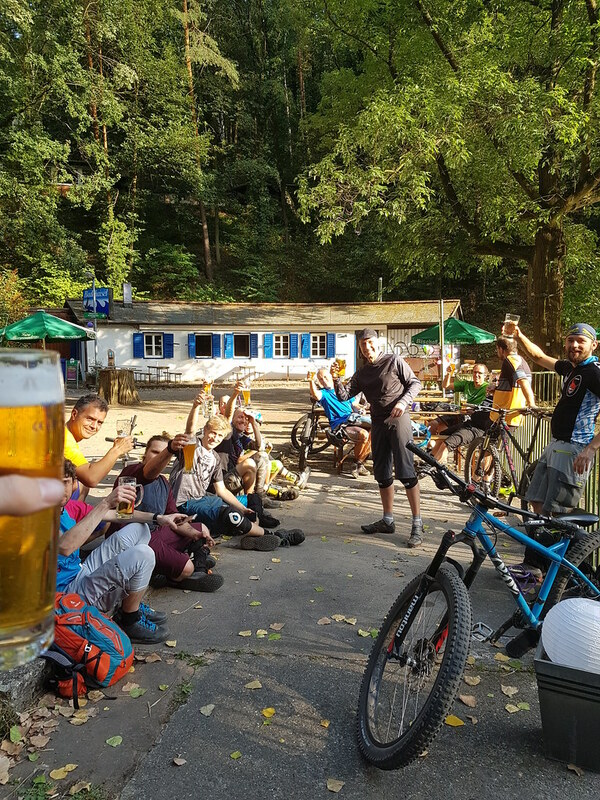 Sharing a top quality German beer or two afterwards almost made up for not getting to ride. Sunday's demo day was a busy one too, plenty of riders having their first experience of a Cotic, highlights include one local rider claiming he'd fallen in love with the Rocket within 10 minutes of riding it, and another who said he felt like it had been his own bike for years, even after a short demo ride. Big thanks to Carsten for helping to organise the demo weekend, and to Mälte and Phillip for being really helpful and making the demo days easy for me, they both shred too! It felt like a big step to take the demo tour to Europe, and I couldn't be happier with how it's gone. We will definitely aim to do more demos in Europe next year, and I'm itching to ride next time!